Tasmania has one species of Dichondra. Dichondra repens is a native ground cover that occurs in a range of relatively open places, such as native grasslands of the Midlands, the Central Plateau and on coastal sands. 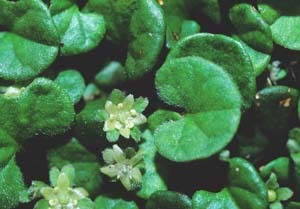 The kidney shaped leaves and small, yellow flowers make this a distinctive species.